Item # 316388 Stash Points: 5,995 (?) This is the number of points you get in The Zumiez Stash for purchasing this item. Stash points are redeemable for exclusive rewards only available to Zumiez Stash members. To redeem your points check out the rewards catalog on thestash.zumiez.com. 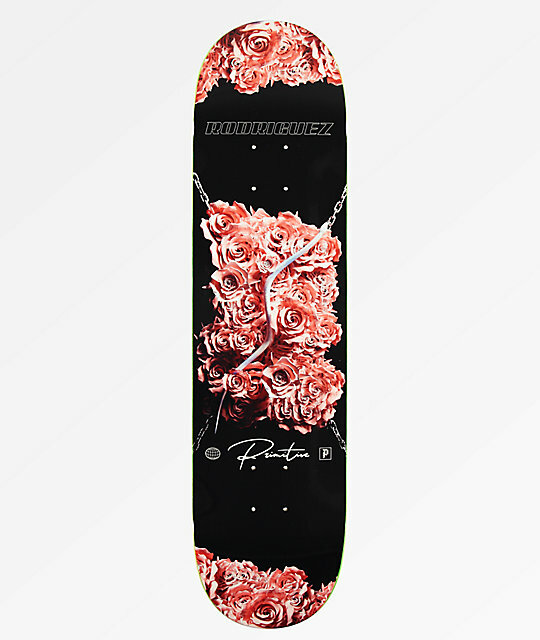 Shred the world like PRod on his pro model Primitive PRod Strange No Lies 8.0" Skateboard Deck. This lively deck features steep and tapered kick tails for massive ollies and a lightweight feel, while the elongated and steeper nose helps with nollie and switch tricks. Finished off with medium rated concave for improved flip tricks and small wheel wells for looser trucks or bigger wheels, this board is ready to shred almost anything. 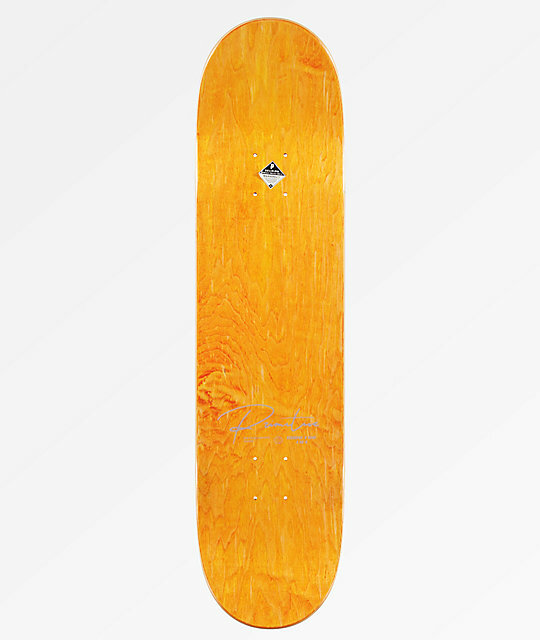 PRod Strange No Lies 8.0" Skateboard Deck from Primitive. Steep, tapered kick tails with an elongated and steeper nose.